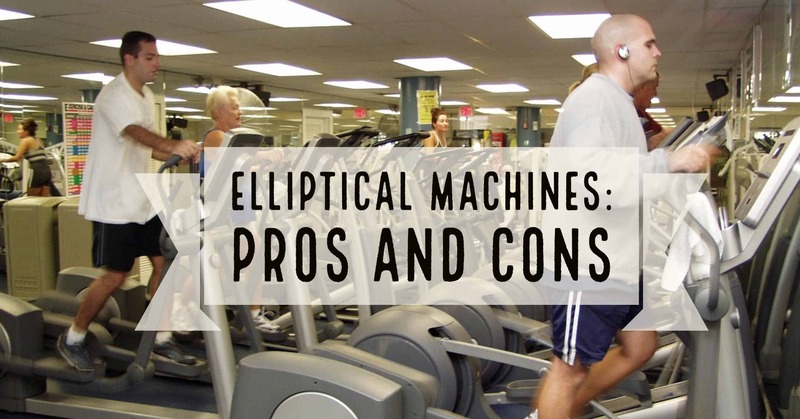 →What are the Benefits of Running vs Elliptical? Elliptical machines are modern standard equipment found in the gym, specially designed for simulating the movement of running and walking, while at the same time minimizing the impact on the affected joints, according to the national Arthritis Foundation. Running on the other hand, is a natural old cardiovascular exercise meant for burning calories and building endurance among individuals. Running and using elliptical equipment are arguably today’s most widely used modes of attaining fitness and weight loss in the world. For quite some time, there has been a raging debate on which among the two offers more health benefits. The main benefits for both are more or less similar, but each has some unique characters and results that every individual must be made aware of. Ideally, both exercising through running and elliptical equipment offers incredible cardiovascular benefits to the body. They are proven workouts for the heart in the sense that they boost the flow of blood and delivery of oxygen to all the organs of the body. They are also known to focus entirely on the development of muscles, for example hamstrings, quads, hips, gluteus, and calves, which warm the body, consequently preparing it for the burning of even more calories. For most people globally, these two modes are used to promote the process of natural weight loss, but for that to be achieved, a healthy diet must always be in place. It is safe to say that there is no big difference between the two, beside the physical distinctions where equipment is used in elliptical, and distance is involved in running. However, the difference comes in the joints whereby in running, the joints are subjected to massive weight of the body during activity. This is said to be one of the causes of injuries, albeit minor..
Elliptical machines and recumbent bikes are ideal for achieving the same results with minimal impact on the joints (the S﻿﻿﻿﻿chwinn 430 tends to be one of the more popular ones on Amazon with reviews that talk about the low impact on joints) because they are programmable and involve absolutely no added weight. In terms of calorie burning, both elliptical and running will deliver almost the same results. The amount of calories burnt over a given period of time is determined by the intensity of exercise in both ways, and that means you are in full control of what you lose. Health and fitness is a wide subject, and that’s a fact. While a lot has been said and written on the same, the emphasis has always been on both the effectiveness and safety of each and every method of losing weight and attaining fitness. Elliptical equipment, including recumbent bikes are natural machine-assisted ways of performing cardiovascular exercises, and have zero defects in terms of what the body can take in. Let’s face it, there are several ways of losing weight that have been known to cause negative effects to individuals. It is not the case with ellipticals. With a good trainer, there are machines for every part of the body, and that translates to even body fitness and natural weight check. In addition, these equipment can be used comfortably by persons with chronic complications, and those recovering from illnesses and physical injuries. Some runners have elected to purchase more advanced ellipticals called High Intensity Training (HIIT) to increase their interval training. Here are two that are very popular . Elliptical machines are also known as low-impact workout machines because if done correctly, there is minimal impact on the ankle, hip, and knee joints, meaning that chances of accruing injuries are almost zero. The best equipped gyms have various elliptical equipment designed for all parts of the body, therefore, there is every chance that the body will attain an all round muscle toning devoid of pounding and injuries that may be associated with other forms of workouts. For beginners, a trainer is always handy to walk them through every step for a full body work out. Modern elliptical machines come with movable handles for working different parts of the body. Adjustments can be made for upper as well as lower body workouts. That includes movements for streamlining the back, the feet, and the arms. ​In terms of personal safety, elliptical machines provide a much improved option compared to other modes like treadmills. This is because in an elliptical machine, the feet are always on the pedals, and there is no risk of miss-stepping or losing balance. As opposed to what most people perceive, elliptical machines are not luxury equipment found in the gym, but rather very important cardiovascular exercising aids. Given the amount paid out as membership fees in gyms, and the monetary value of these equipment, a duly qualified and professional instructor should be present to take beginners through the paces. There are some quality ones that start less than a $100 on Amazon. Elliptical machines are not readily available, therefore, are not accessible to everybody whenever they need. Also, with extended use of these equipment, the body strength is put to test due to over-reliance of machines. Muscles do not achieve the optimum strength as is the case with physical exercising like running and jogging. Running for purposes of fitness and weight loss can be referred as active running. As a classic cardiovascular exercise, running is an extensive activity that burns calories in high amounts, (Running World has a great calculator to tell you exactly how many you have burned per mile). as well as assisting in body metabolic processes. Running regularly builds stamina, and at the same time increases agility. Bone and muscle strength can also be achieved through running, which has also been known to stimulate bone cells and make tendons stronger. One can create their own routine for running on a daily basis, based on how busy their schedules are, and provided they are in good health. 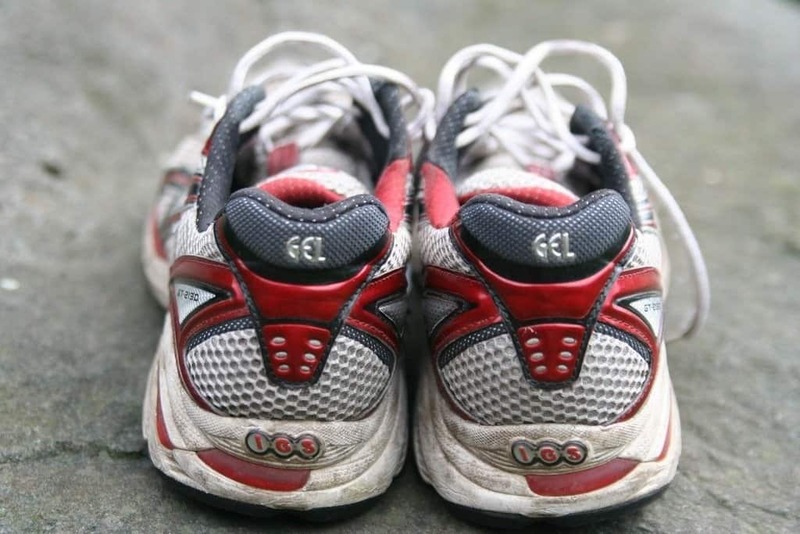 Besides, every one capable of working out is capable of running, and save for a convenient pair of boots and the right gear, nothing else is required. Also, running does not require any special skill, and can be done anywhere, indoors, or even across the streets. An effective running exercise should begin with a 10-or-so minute warm up, and end with a similar cool down activity. Running is associated with joint injuries after regular exercising due to the heavy burden of having to put up with the body weight throughout the process. For most people, it is not easy to keep up a regular program of achieving the desired results. While it’s very clear these two are ideal cardiovascular exercises, it all begins and ends with an individual. People with varied weight loss goals will make varied decisions, and that’s why the options are available. Sometimes, it is argued that the end justifies the means, and no matter what choice one makes, the idea should not only be pegged on the results, but also on how smooth the journey was. Health and fitness is a privilege that not every person enjoys, hence the need for working out regularly. Today, gyms everywhere you go have been equipped with sophisticated work out machines all in the name of fitness and weight loss. While it can be said to be a good thing and an advantage to gym members in terms of availing variety, there is the need to substantiate what is good for different work out plans and what is not in terms of personal safety. Overuse of some particular equipment in the gym can result to irregular results, and that includes postures, and sometimes near-fatal spinal complications. Elliptical machines are safe to use, and have been suggested even for beginners because of how easy and customizable they are to use. They won’t come cheap, but then they provide the most complete work out plan for the entire body with minimal impact. Weight loss is a journey that takes time to complete, and sometimes it does not end. As long as people are eating, chances of wanting to burn those extra calories at the gym or through running remain very high. Contrary to what misplaced advertisements on the web will purport, there is nothing like a magic weight loss pill, and if there is, it cannot be claimed to be fit for human consumption. While physical and elliptical-based work outs have been proven to be effective and safe, it takes time, devotion, and personal discipline. The idea is to maintain high levels of fitness and good health, and hence, overall well-being. Without a regular work out plan, all that cannot be achieved, but with a working schedule followed to the core. Your time at the gym can largely be dictated by your daily schedule, and that includes work or school time table. It is however easy to manouvre and come up with a flexible schedule that does not collide with any of the above, probably late in the evenings or in the morning before you set out for work or lectures. Fitness cannot be achieved through random workouts on that recumbent bike, or through running once or twice when you feel in the mood. It requires total devotion and self discipline. Pop Sugar has some really in-depth workouts for the elliptical. Ellipticals like the Proform 250i and the most of which that are right at $500 have built-in programs which make working out a whole lot easier!. In all modes of exercising and training, it is advisable to begin from lighter, adjusting to more extensive workouts. This helps in adjusting the body system to newer levels without stretching it too much. Whether you are running or using elliptical machines, the room is always set for progressing from a lighter to a deeper activity. When running, for example, one can only run a short distance on the first day or days for purposes of preparing the muscles and setting the pace for a more complex activity. As days progress, those muscles will be flexible and resistant enough to withstand longer distances at even faster paces with less strain. Similarly, with ellipticals one should not begin at high speed levels, but instead, pedals should be adjusted gradually as the body gets accustomed. The hours spent on a particular machine must also be monitored, otherwise sometimes it might make no sense at all. Irregular exercising can be detrimental to the weight loss program, and to be safe, it is better left unattended than half-attended to. It goes without saying; what you eat determines the success or failure of your weight loss journey. Some foods contain higher amounts of fats as compared to others, and we all know that fats aggravate weight gain. It makes no sense spending the entire evening at the gym or out there on the track running, then indulge in a calorie-filled meal for dinner. It is good to be keen on what you eat if you are to maintain the desired weight. Perhaps it is a challenge for most people identifying the kinds of foods they should or should not eat, but the best way to go about it is to talk to qualified nutritionists about the issue. Information is also readily available all over the internet regarding the best foods to eat during workout, and what to avoid over specific periods of time. As mentioned earlier, weight loss is a journey. Not often will an individual hit the gym for fun or out of boredom, and if they will, it is highly unlikely someone will run for the sake of running. Setting goals of the amount of pounds one wishes to shed over a particular period of time is a good platform for getting started. That means one will be working towards an achievable objective, and all the necessary adjustments shall be based on the will to get it done. Whichever way you decide to burn those unwanted calories, it all begins with noting the need to do it. Everyone wants to be healthy and in good shape, so the time you spend on the pedals, and your input in the machine should be determined by a certain will to lose weight. 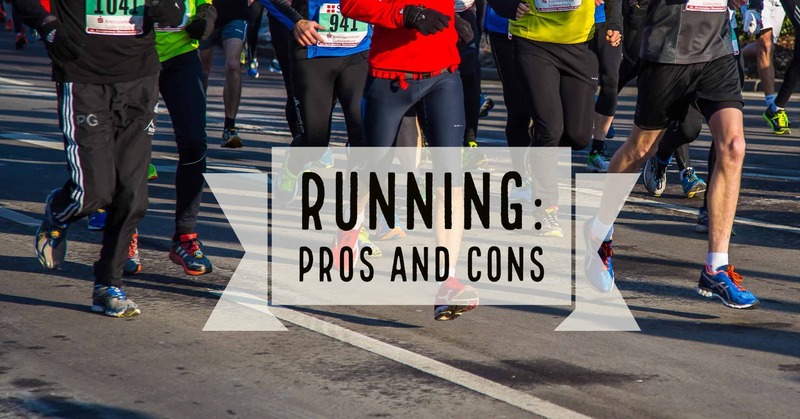 Running vs elliptical? Your call..
Running at around 6 mph and adjusting the elliptical to a moderate level is said to burn approximately 670 calories for a 150-160 pound person. Either way, weight loss is all about the amount of calories one is able to burn, and given the stats of both, everyone has been given control of what they can burn. If you feel the need to burn more, increase your running speed and run longer. Similarly, when using the elliptical, adjust your machine to a faster level and watch that fat drain. Also, there is no harm going for both at different intervals. Hit the gym when the weather won’t allow a run, or carry with you your running shoes when traveling upcountry for a short holiday. Elliptical has also been passed the best alternative for persons recovering from injuries as the machines do not stretch individuals beyond limits. The machines have been designed to allow adjustment according to different individual preference, and that is what makes them one of the most ideal weight loss plans.